How Buffett builds his brand through his annual shareholder's meeting. The annual "Woodstock for capitalists" takes place May 2 - 4 in Omaha, Neb. Corporations are required by law to hold annual shareholders meetings, the primary purpose of which is to elect the company's board of directors for the following year. The meetings tend to be dull, lifeless and serve a narrow purpose. Most come and go with little attention from the media or the public at large. That's not the case with the annual shareholders meeting for multi-national conglomerate Berkshire Hathaway. The quirky three-day extravaganza in Omaha, Neb. -- referred to by many as a "Woodstock for capitalists" -- advances the company's brand by firing up its shareholders and enchanting journalists, who then spread the virtues of Berkshire Hathaway and its folksy, billionaire CEO Warren Buffett, to the outside world. The meeting itself has evolved quite a bit over the years. The earliest ones in the 1970s were low-key events with maybe a dozen or so attendees. By 1985, the attendance was up to 250. Fast forward to 2014 and as many as 40,000 are expected to make the pilgrimage to hear Buffett's wisdom and bear witness to the inner workings of Berkshire Hathaway. This year's event runs from Friday, May 2, until Sunday, May 4 (check out live Scribble coverage via CNBC here). James Pardoe, a Buffett devotee who wrote a book a few years back entitled "How Buffett Does It", will be in Omaha for the eighth time. We chatted with Pardoe this week about what the event is like and how it serves the cause of Berkshire Hathaway and Buffett. 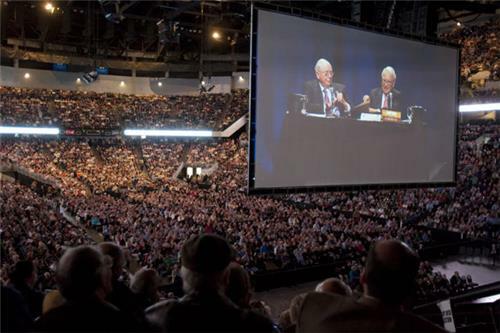 What actually happens at the Berkshire Hathaway shareholder's meeting? What's the point of it all? It's primarily an event where the Berkshire Hathaway shareholder is appreciated and honored. You are my business partner, Buffett tells them. That's why there's such a passionate following. The shareholders worship him because they are treated so well by the company. It's like a religious experience. Everyone is happy to be there with the pope. But what Buffett really wants you to learn when you are there are the intangibles of his business. You learn a lot about Berkshire Hathaway by coming to the meeting. And Buffett wants people around him who are going to join him for a lifelong investment relationship. There are shareholders at the meeting who've held his stock for 40 years when it was $100 per share. Now it's $190,000 per share. No wonder they're so loyal. 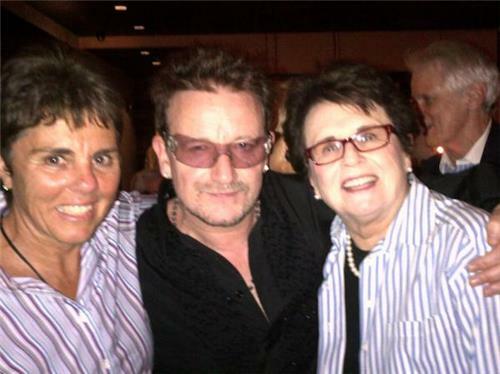 About 30 years ago, there was something like 50 people in a room. The event kept outgrowing itself and these shareholders became fabulously wealthy. Now, all 80 subsidiaries of companies owned by Berkshire Hathaway are represented there. They'll all have booths, like at a carnival, presenting their wares. Sometimes they'll sell things at a discount. There'll be a See's Candies booth that will sell discount candy. There will be a Fruit of the Loom booth peddling boxers and t-shirts. Buffett just bought 50 percent of Heinz Ketchup, so they'll be there. Dairy Queen will be handing out ice cream. Every one of his businesses will be there and the people who go will get to learn all about them. The event is a great way for his businesses to get exposure for their brands. Why does Berkshire Hathaway go through all this trouble? It reinforces the principles and the brand of the company to its most loyal customers. It's Berkshire Hathaway saying "This is who we are." It celebrates a great American story and what Buffett has done with this company. It's really like no other company out there. Most other companies have a caste system. The upper management rewards themselves and leaves everyone else out. But Buffett's salary is $100,000. He has no stock options, no perks, nothing. Most of these CEOs at other companies are like royalty, but not Buffett. How does Buffett's image come across at the event? He's got a great sense of humor and a great sense of fun. He sets the tone. He's a real down to earth midwestern-type of guy. When I get into town, I always drive by his house that he bought for $31,500 in 1958. He's worth over 60 billion dollars now and he still lives in this house. He's giving all his money to charity. He's giving to foundations to improve society. He's like a modern-day Andrew Carnegie. So why has this meeting become such a big deal? It all boils down to this: A lot people really admire Buffett. They like and respect him and learn a lot from him. So a lot of the people who've made a lot of money like to come and hear him speak. People come from all over the world, from as far away as Australia and Asia. As Buffett says, the event really is like a Woodstock for capitalists. But every Woodstock needs a rock star and that's the role he fills. Scribble Tip: Take advantage of the accumulated knowledge of others when creating your content. Calling upon experts solidifies your story's credibility and helps distinguish fact from opinion. A good interview with an eyewitness adds a unique perspective to any narrative. Learn how ScribbleLive can help your company improve its image.